Chon are a young band out to make what can best be described as the math equivalent of power prog, forging an album of almost all instrumentals that are warm, energetic, and a joy to listen to, though in the manner that one enjoys snacks. They jam with skill and create a fine product, though there isn't so much to most of it, and suggest a band that has not just room to, *ahem*, grow, but also a need to. But the record is nice and a start. Heading into the second half, they have moments where they strengthen the sound with heavier portions. "Can't Wait" and "Echo" diversify things a bit with vocals, but the change of pace is mitigated by the fact that said vocals are by far the weakest part of the album. Overall, though, it's good, and the closer, "But", manages to be very interesting. We'll see what the future holds for this band. Never heard of CHON? You're probably not alone, at least for now. The four-letter cipher (see below) identifies a southern California quartet specializing in tying complicated yet oddly delicate instrumental knots, all played in a familiar two-guitar format but with an invigorating sound all their own. After a pair of self-released warm-up EPs, the group has finally recorded its debut full-length album, although 'full-length' might be an exaggeration: the whole thing is only 34-minutes long, and recycles half the contents of their 2014 "Woohoo!" EP. But the repeat selections are at least presented in new (and improved) arrangements, including the song "Echo" (formerly "Ecco"), one of only two vocal tracks floating like shallow atolls in a roiling ocean of Fripp-like guitar pointillism. A lot of the album sounds like it might have started life as conventional pop music, and still carries a lingering trace of that same DNA. But the gamma-ray effect of all the energized twin-guitar gymnastics effectively mutated the results into something else entirely: not really Post or Math Rock; not really Jazz or Fusion; but definitely eclectic and thus highly recommended. The most encouraging thing about CHON might be the relative youth of the players. Like the first wave of Progressive Rock pioneers in the late 1960s, these are kids willing to swim against the commercial mainstream in pursuit of a more demanding muse. And yet they aren't exactly rebels: all four had the good manners to thank their parents in the CD booklet, a gesture that only underlines their appeal, at least to this father of two. The band's name, by the way, is supposedly an acronym of Carbon, Hydrogen, Oxygen, and Nitrogen. If true, the moniker certainly fits the music, sharing an egghead's appreciation of scientific methodology and elemental beauty..."the poetry of logical ideas", quoting Albert Einstein, who might have been a CHON fanboy in an alternate life. 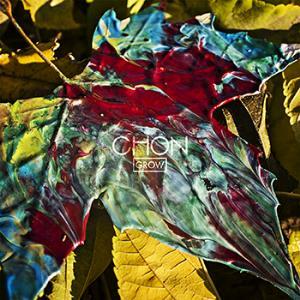 Post a review of CHON "Grow"